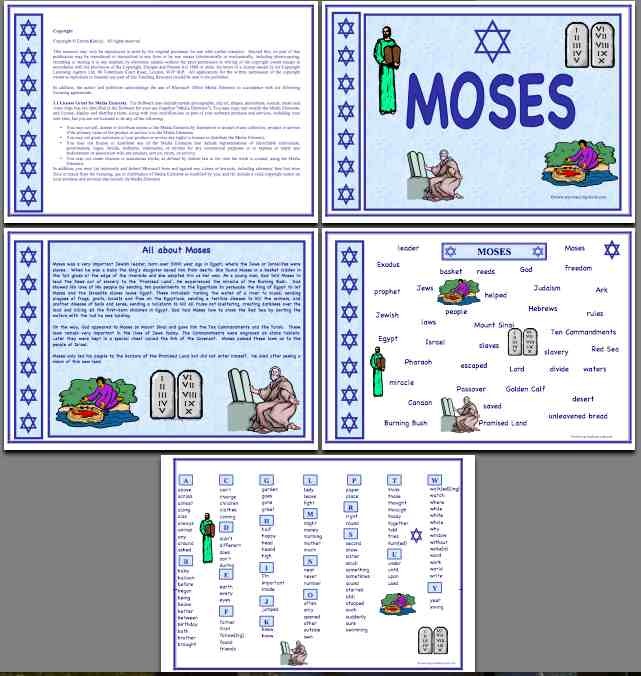 Our Moses resource is designed to provide pupils with the key words. Useful for different levels of ability, or use with pupils of different ages. Ideal too if you move year group too. Simply print and laminate for a longer lasting resource. 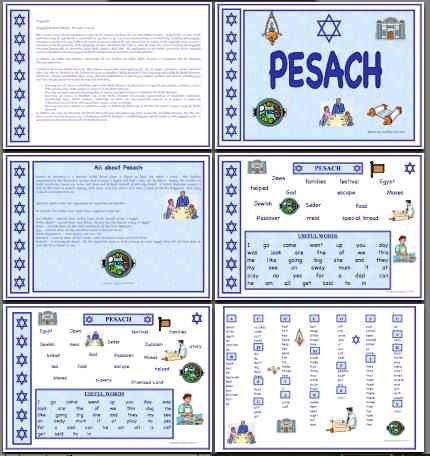 Our Pesach mats are designed to provide pupils with the key words. Useful for different levels of ability, or use with pupils of different ages. Useful if you move year group too. Simply print and laminate for a longer lasting resource. 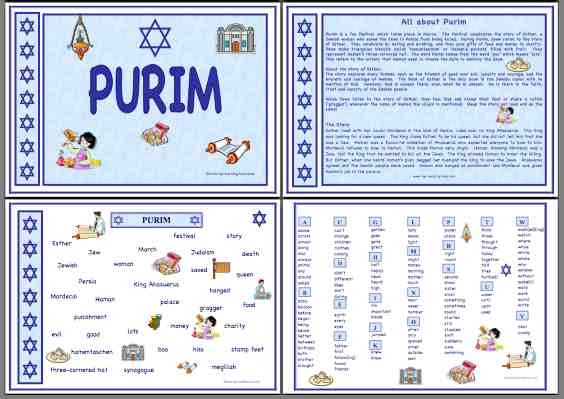 Our Purim mats are designed to provide pupils with key words. Useful for different levels of ability, or use with pupils of different ages. Ideal for if you move year group too. Simply print and laminate for a longer lasting resource. 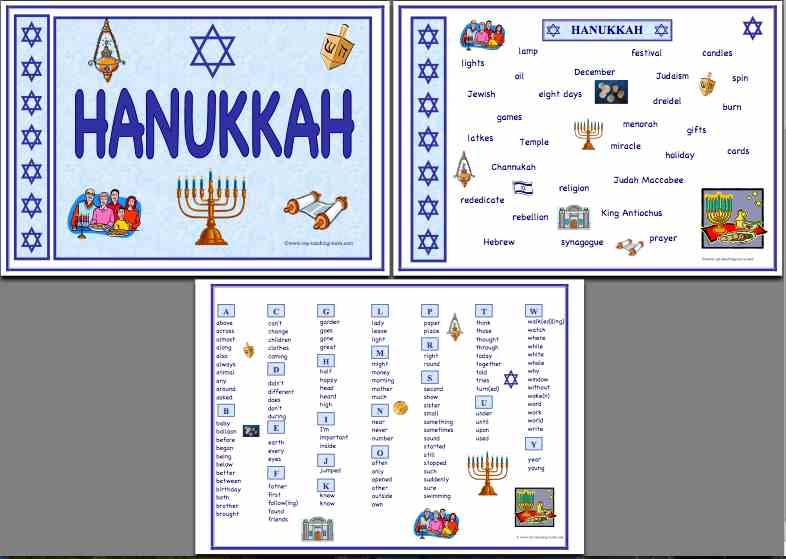 Our Hanukkah mats are designed to provide pupils with key words. Useful for different levels of ability, or use with pupils of different ages. Ideal for if you move year group too. Simply print and laminate for a longer lasting resource. 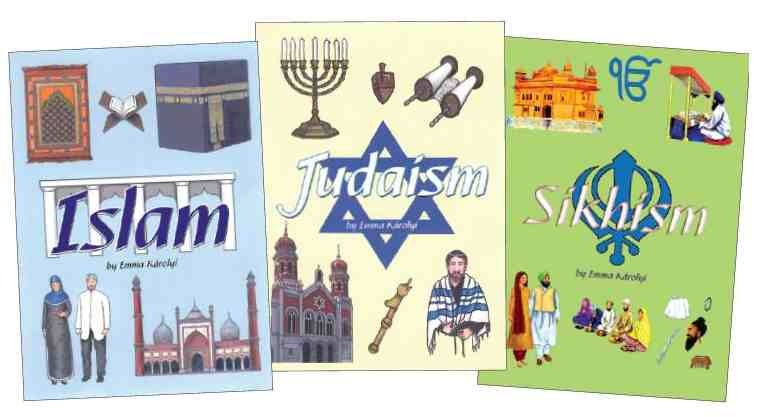 This Worksheet pack on Judaism is a comprehensive teaching resource. Suitable for KS2 and KS3. The book includes a huge range of activities, worksheets, games and ideas for the busy teacher, plus detailed teachers' notes. This resource complements the differentiated workbooks (below). Important Jewish themes are covered through interesting, fun and varied activities. Topics include: Beliefs, prayer, Jewish Communities, map work, Israel, the Magen David, Abraham, Moses, David, the Torah Scroll, Hebrew, the Synagogue, the Rabbi, Shabbat, food, festivals, holy days and many more!